Group Discussion Ideas > General GD Topics > Is online piracy inevitable? Online piracy is the term used to describe the real time illegal downloading of copyrighted materials from the internet. We can get access to all the material for free. This will certainly help general public. Free download is the biggest advantage of online piracy. Piracy promotes the products by helping it to reach more people and may actually increase the sales. For example, the revenue of HBO series ‘Game of Thrones’ increased dramatically when it’s episodes were leaked online. Some people pirate the material to see if it is really good and if they like it then they began to buy the CD’s or legalized copies of the same. The profits obtained from the sales doesn’t go entirely to the artists. They only get some of it or a fixed amount except in case of very famous artists or other creative people. But if their work is pirated and distributed to people, people donate to them and may go to the theaters or concerts due to which they will get more money. Piracy provides free publicity to the artists and authors. Most of the people who watch pirate material online are the people who would not buy them otherwise. There have been studies that suggests that piracy has minimal effect on the sales. A large number of people using the internet today are teenagers, adolescents and young adults. Most of them do not have much money. Downloading it for free is only way they would get access to all works. This also helps the artist or bands or authors to expand their fan base as this group is the one which like their works the most in general. Internet piracy supporters argue that sharing is not a crime. It is just a plain theft where some copyrighted material is stolen or copied without asking for permission or paying for it. This is illegal and clearly violates the copyright and intellectual property rights. Due to the online piracy, original and rightful owners of that content are deprived of the money they would have earned otherwise. As the profits are reduced due to piracy, it may reduce the incentive for creating new works. Not only the owners, but other people related to the field also loses jobs. These are the people who are connected with technical departments, marketing people, engineers etc. Government also suffers losses. Taxes that would have to pay are lost due to the piracy. Piracy is the easiest and efficient source to spread the viruses and malware. These viruses and malware can be included in some simple file like a mp3 song which will be downloaded by many people, becoming a prey to them. Once they enter the computer, they may control your computer, may wipe out all the data or particular folders or they may spy your data and send it to the person who uploaded the pirated version of the software. India has ‘Indian Copyright Act’ of 1957 according to which a person if found guilty can be jailed for maximum three years and fined upto 2 lakhs. Piracy is a serious offence in the law. Many countries across the world have laws that ban and punish for piracy. With the torrent sites piracy has thrived even more fast. Even banning these sites is not working anymore. If one site is blocked, there opens another site to do the same. There are three main types of online piracy, 1)music piracy ,2) movie piracy and 3) software piracy. Others materials are also pirated but the extent of these three is very vast. In France, illegal downloaders face warnings through emails. If that wouldn’t stop them, they have to appear before judge and face suspension to internet access. 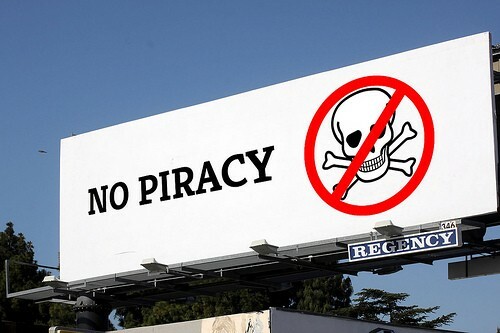 USA implemented Stop ‘Online Piracy Act’ (SOPA) and ‘Protect IP Act’ (PIPA) to curb piracy. Any kind of piracy has negative impact on the economy. It is evident that with increasing use of the internet, piracy also grows. In spite the efforts being employed to create awareness about it, piracy has become a normal routine for people. It has increased to such extent that the average person has downloaded some sort of pirated content such as music, movie etc at least once in their life. The future of entertainment is digital, so we must take action to reduce and eliminate the piracy. Afterwords :- What is your opinion on this topic. Express your thoughts in the comment section below.